This week, Steve Marinucci, Ken Michaels and Allan Kozinn welcome two people who have been involved with the publication of Beatles fan magazines. Al Sussman, executive editor of Beatlefan magazine, and Charles Rosenay!! 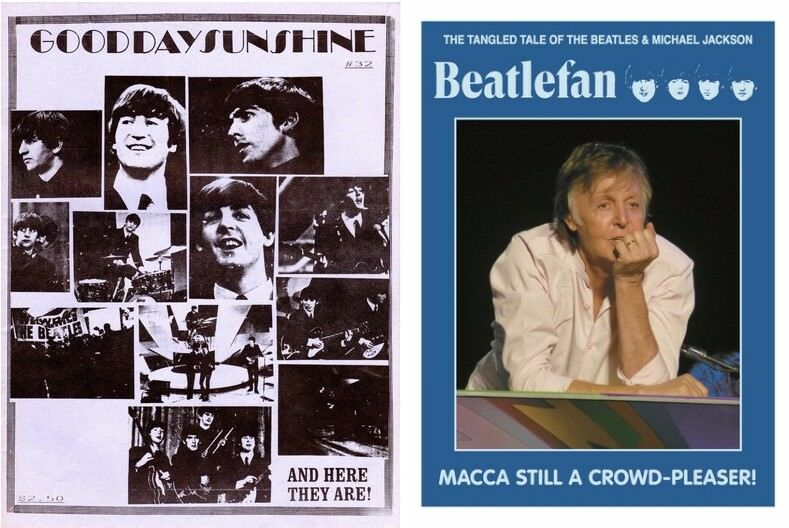 !, the founder and editor of Good Day Sunshine in its early years, talk about the history of the two magazines, what it took to put out issues of each and how they saw their publication and the other Beatle publications that were out there. They also talk about the most memorable issues. As we do every week, we welcome your thoughts about this episode of the show or any other episode. You can send your comments to our show's email address thingswesaidtodayradioshow@gmail.com, join our "Things We Said Today Beatles Fans" Facebook page and comment there, tweet us at @thingswesaidfab or catch us each on Facebook and give us your thoughts. And we thank you very much for listening. You can hear and download our show on Podbean and iTunes and stream us through the Tune In Radio app and from our very own YouTube page. Our shows appear just about every week. Please be sure and write a review of our show on our iTunes page. If you subscribe to any of our program providers, you'll get the first word as soon as a new show is available. We don't want you to miss us. And thank you very much for your continued support. Our download numbers have been rising steadily each week as more people discover us and it's all because of you! So we thank you very much for supporting us. This week, Steve, Allan, Al and Ken welcome Gary Jacob, organizer and producer of the Abbey Road on the River Beatles festival making his first appearance on "Things We Said Today." Gary talks about the history of the event and gives some great behind-the-scenes insight into how it works. And with this week's show, we're adding a new affiliate WCPR. (Their website is http://www.wcpr1.com). On WCPR, you can hear the show for the first time at 9 p.m. ET Thursdays, then repeating 9 a.m. and 9 p.m. Fridays, live on iTunes and on demand beginning on Saturdays. We're also on Fab4Radio.com and PurePopRadio.com.